New Zealand sure knows how to do rain too. The skies are grey, filled with rain clouds releasing endless drizzle that seems to get into everything, but we will not allow our spirits to be dampened. On the other hand, spirits of the liquid variety are definitely allowed. 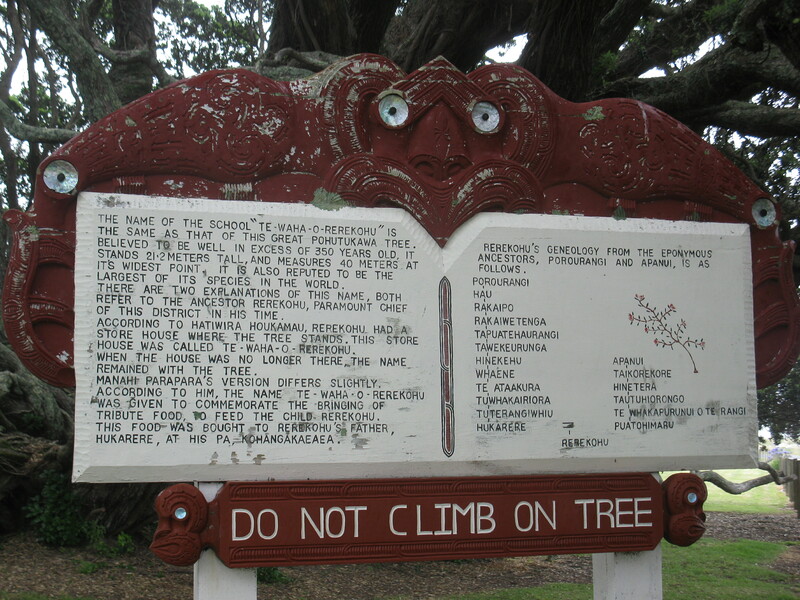 So after driving through seemingly endless amounts of native bush – with the overpowering smell of manuka wafting through the windows – we stopped to re-fuel (vehicles and stomaches) in Te Araroa. There is (fortunately) a petrol station, although the remote spot means elevated prices that almost bring a tear to Sam’s eye. A store is open – it seems to sell everything but the kitchen sink. But it was our first sight in this small sleepy place, that I cannot bring myself to call a town, that we thought most impressive. 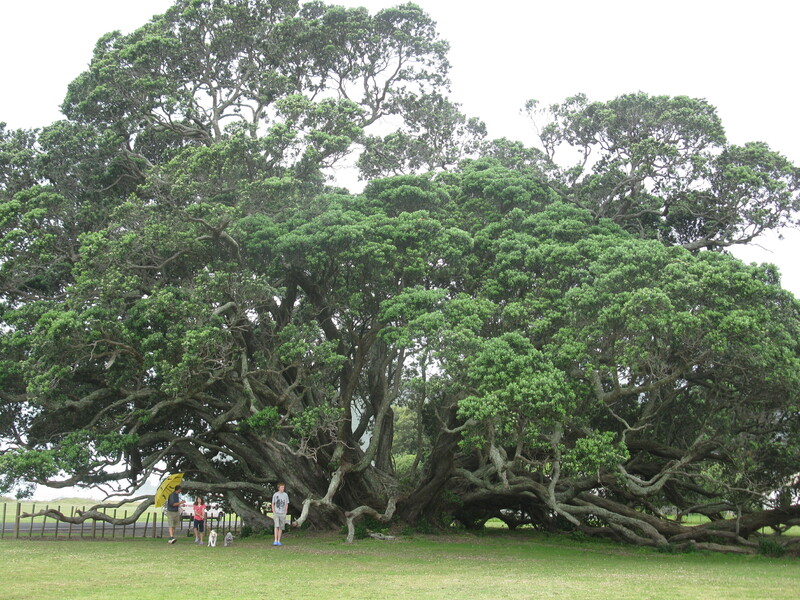 Stood at the edge of a school playground is a pohutukawa tree reputed to be the oldest and largest in New Zealand. We lunched in a beachside car park near the start of the 21km no-exit road that takes you over to the East Cape Lighthouse. The most easterly point of mainland New Zealand probably would have been on our road trip agenda – had the road been open. The persistent precipitation had led to many slips and road closures in the area including the unsealed road over to the lighthouse. It seems we were not destined to climb the 700 steps from the car park up to the historic lighthouse situated 154 metres above the sea. I’m still considering those 700 steps. Our road trip continued and we headed down the SH3 taking extreme care on roads that were at times more of a narrow path than a road. Many had been bitten away at by rain/river/sea or mysterious East-Cape-road-eating creatures. I spend much of the journey breathing in as our bus trundles around narrow bends where bits of plastic tape indicate there is no crash barrier.. as in many cases there is no road, just a drop into the oblivion. 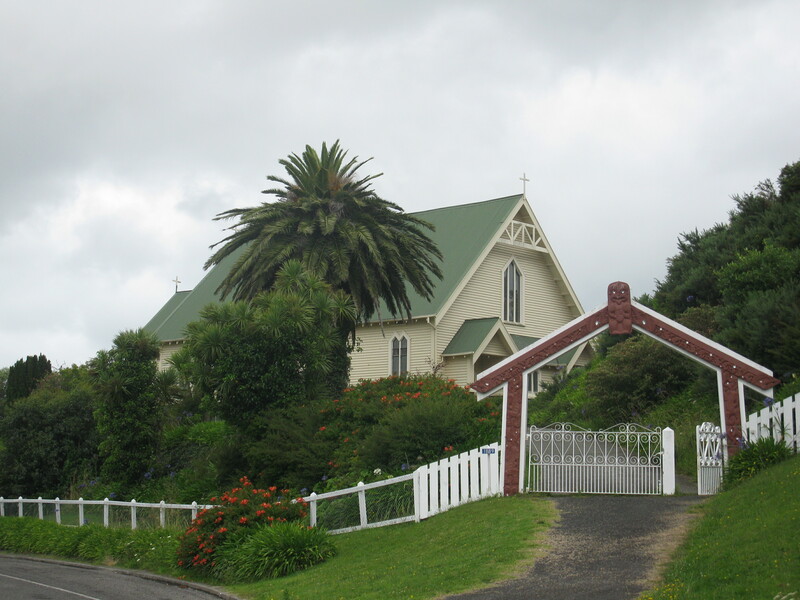 I was glad of a reprieve from driving (or should I say: nervous passenger-ing) and Saint Mary’s church at Tikitiki was well placed in our journey for a little look-see. 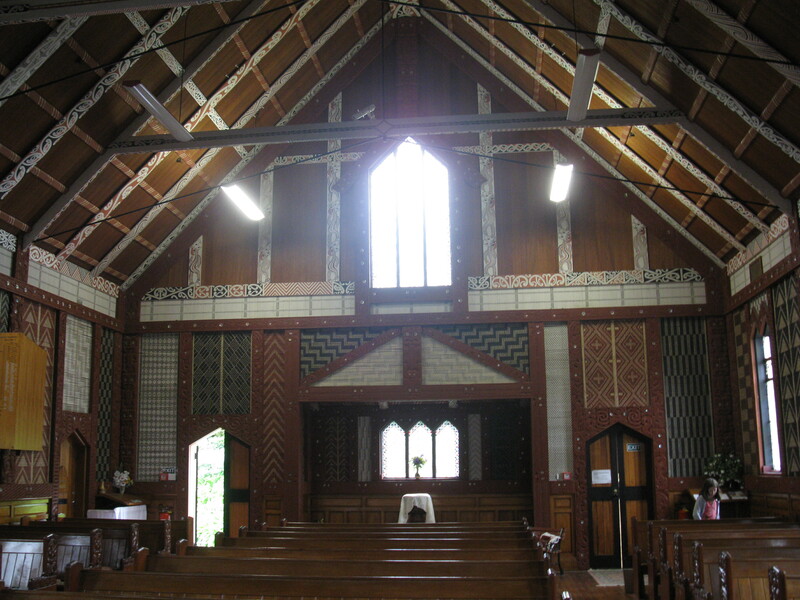 The church was built in 1924 as a memorial to the soldiers of Ngati Porou who died in World War I. A quick glance as you drive past would not do it any justice for it is the interior of the church that is quite extraordinary. 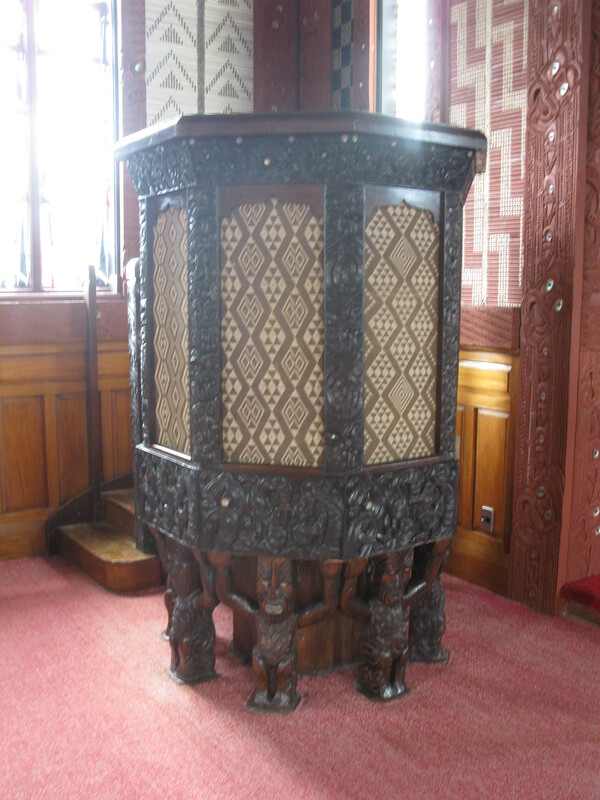 Hailed as one of the most ornate Maori churches in New Zealand it is extensively carved and highly decorated with woven panels and an ornate pulpit. From Tikitiki we set about finding an overnight parking spot a little further down the coast. 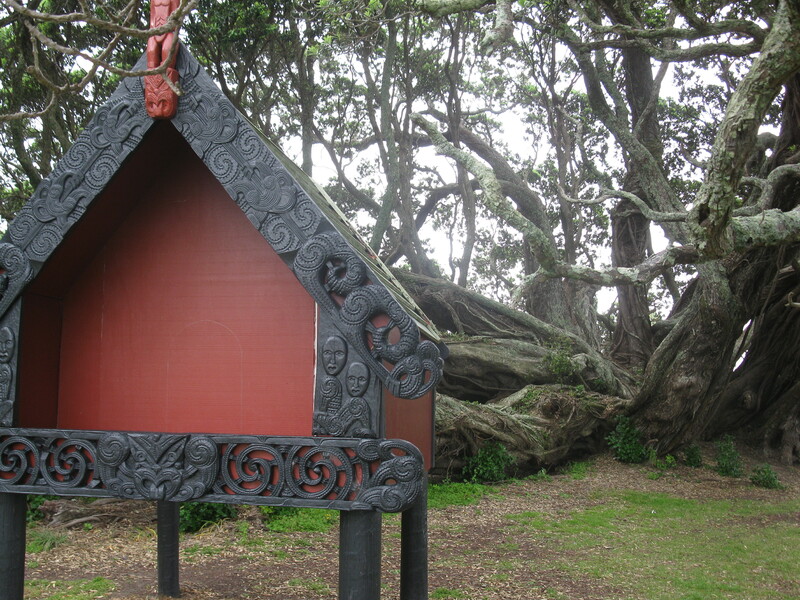 Our soggy adventures at Waipiro Bay will be in my next post.